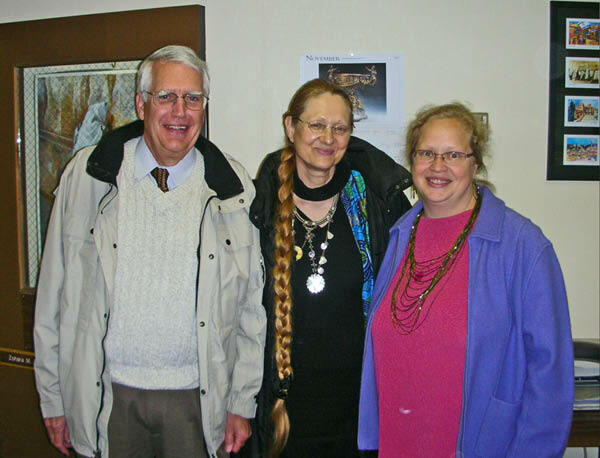 Center for Judaic, Holocaust and Peace Studies, Appalachian University, Boone, North Carolina, USA, November 10-14, 2007. Guest lecturer: Evelin Lindner, invited by Amy Hudnall, Adjunct Instructor, Coordinator of Peace Studies, supported by Jennifer Kirby (see pictures above). Please click on either of the pictures above and further down or here to see all photos. 1. "The Role of Humiliation in Ethnic Conflicts"
Ethnic Conflict Class (junior level seminar class) of Anatoly V. Isaenko, Ph.D. 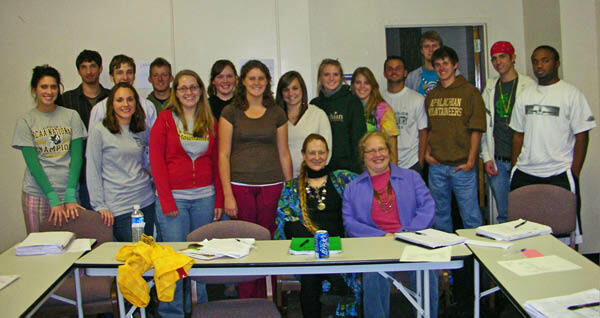 Associate Professor at the Department of History, November 12, 2007. Please click on the picture above or here to see all photos. 2. 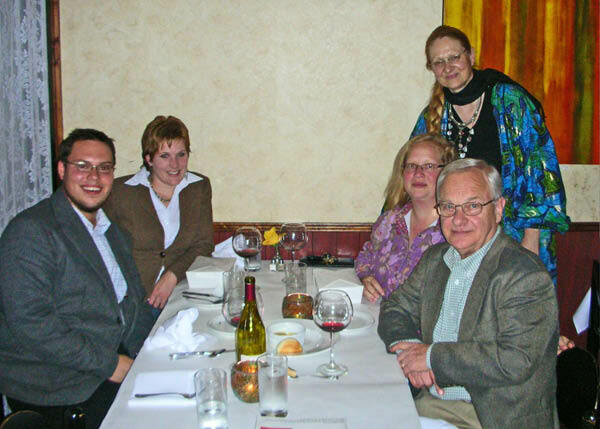 Dinner with Peter Petschauer, Department of History, Appalachian State University. 3. "The Role of Humiliation in the Holocaust, Germany and Rwanda"
Holocaust Class of Rennie Brantz, Professor of History, Co-Director of the Center for Judaic, Holocaust, and Peace Studies, November 13, 2007. 4. 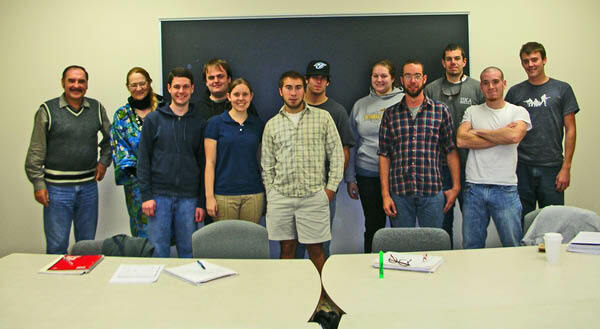 "On a Personal Level, Genocide, Its Relationship to Humiliation, and How to Prevent It in the Future"
Genocide Class (freshman) of Amy Hudnall, Adjunct Instructor, Coordinator of Peace Studies, November 13, 2007. 5. 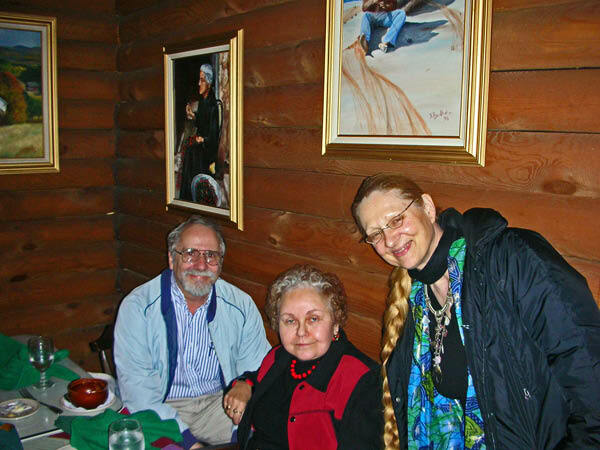 Dinner with Zohara Boyd, Co-Director of the Center for Judaic, Holocaust, and Peace Studies. Please click on the pictures above or here to see all photos. 6. 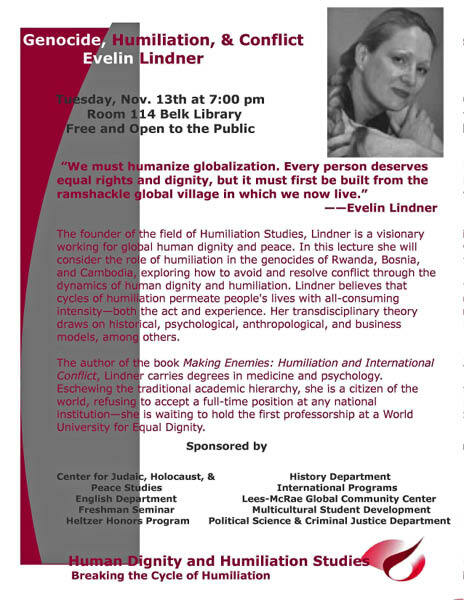 "Genocide, Humiliation, and Conflict"
Carol Grotnes Belk Library and Information Commons at Appalachian State University, Tuesday, Nov. 13, at 7 p.m. in Room 114. 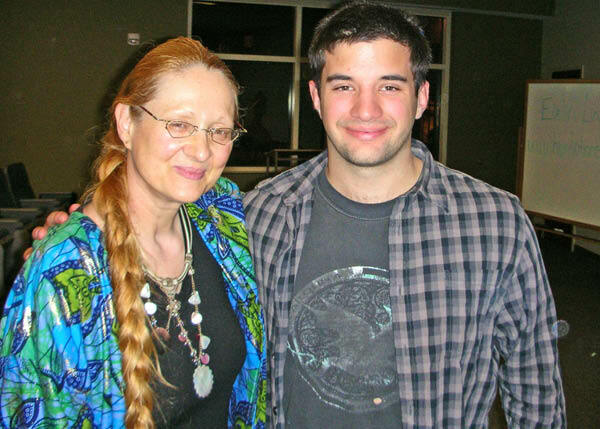 Please see also an article in the Appalachian University newspaper, "Genocide lecturer calls on students," by Julia Harr, Tuesday, 13 November 2007. Please see also a brief blurb in the Winston Salem Journal. Please see here the video of the talk. When watching the video of my talk Genocide, Humiliation, and Conflict, I noticed that I omitted many important points, due to time-constraints. 1. I should have asked the audience, particularly those with a background in the Middle East and the Arab world, for their understanding and permission that I use the example of honor kilings. Some of my Egyptian friends feel deeply humiliated by me using this example, because they feel that it contributes to portraying Egypt and the Arab world as backwards. However, this is not my intention. The normative world of honor is, to my view, an adaptation to a certain period in human history (see, e.g., the security dilemma), and this is not something that is specific to the Arab world. I could also use examples from the Western world. Yet, for me, the honor killings dilemma is better suited than any other example to illustrate the predicament that all humakind shares at the present point in its history. The whole world, the Arab world as much as the West, is currently in the process of leaving behind the code of ranked honor and entering a new normative universe, that of equality in dignity. This transition is not smooth, it is haphazard, it is fragmented, and it is often moving one step forward and two steps back - yet, it is happening in all parts of the world. 2. Of course, the idea of equality in dignity for everybody was always alive. It is not a new idea that emerged in 1757. Many founders of religions (Jesus, Islam, the Sikh religion, etc.) had at the core of their message the revolutionary question ("revolutionary" during the past 10,000 years): "Are people really ranked in their worthiness? Are not all people worthy equally much in the eyes of God?" And these founders had followers often precisely because of this revolutionary message of equality in dignity. However, this message had no real chance to flourish during the past 10,000 years. Typically, hierarchical institutional structures "swallowed up" this message very swiftly. What is new today is not the idea, the ideal, and the vision of equality in dignity, it is the context that gives this idea historically unprecedented space to finally gain significance and NOT be swallowed. I therefore call the human rights revolution the first continuous revolution in human history. Bonhoeffer meant when he said that "Peace is the opposite of security." perpetrators of humiliation and "Forgiveness" on the behalf of those humiliated. pernicious, more dangerous, and even more universal in creating human misery? greater, more hopeful, and again, even more universal than "humanity" itself? "Imperium"--which means the "right to command". This "right to command"
regarded as a very important work on the modern "Post-Colonial" form of "empire"
that grips our world today. I can meet with you again in the future. Ralph E. Lentz II, M. A.